The final apartments at South Bank Tower, the new residential landmark on the South Bank, have been sold to an international investor, advised by London-based real estate investment firm, Jackyl, for an amount in excess of £125m. CIT is acting as development manager for South Bank Tower Limited, the owner of the development. Formerly a 1970s office block, King’s Reach Tower, the building was purchased in 2010 in a joint venture with Jadwa Investment. CIT assisted in obtaining planning for a striking 41-storey scheme, comprising 193 luxury apartments and penthouses. South Bank Tower has since led the way in the south bank’s regeneration and has acted as a catalyst in the revitalisation of the Zone 1 area, which is now well-established as one of the most diverse central London districts. CIT has a long-term involvement in the reimagination of London’s south bank. Previous projects include the iconic Greater London Authority and Ernst & Young headquarter buildings at More London, and it will continue its work in Southwark following the recent acquisition of Vinegar Yard, a 0.6-acre former car park site on St Thomas Street. 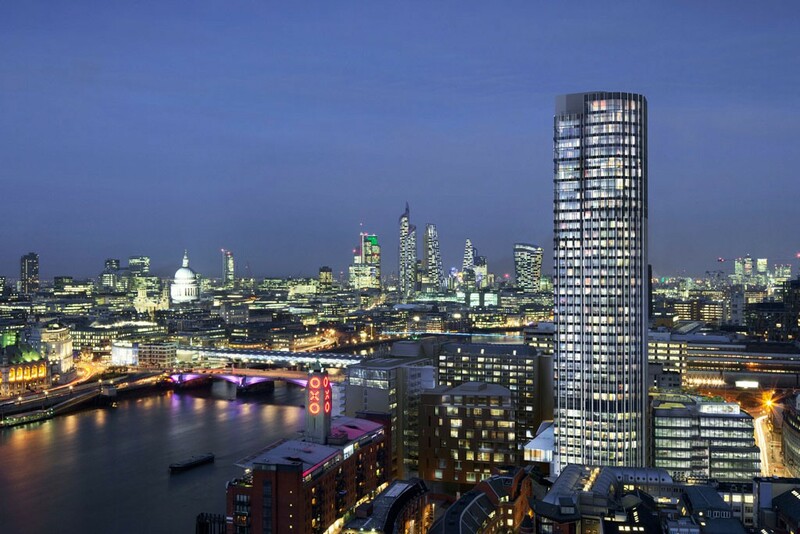 Residential sales at South Bank Tower were represented by CBRE and Savills. CBRE, assisted by Paradigm Land, advised Jackyl throughout the purchase.